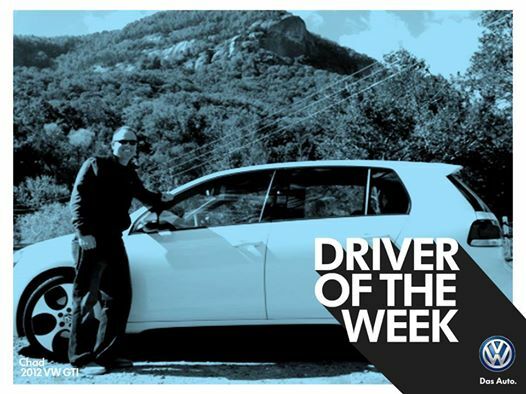 We are so excited and proud of one of our VW Customers and his 2012 GTI………Chad was selected as Volkswagen of America’s “Driver of the Week” in January 2015. Chad has owned VW’s for many years and has been a customer of Das Autohaus since we opened our doors. We are so happy that his dedication and enthusiasm was captured and recognized by VW ! !